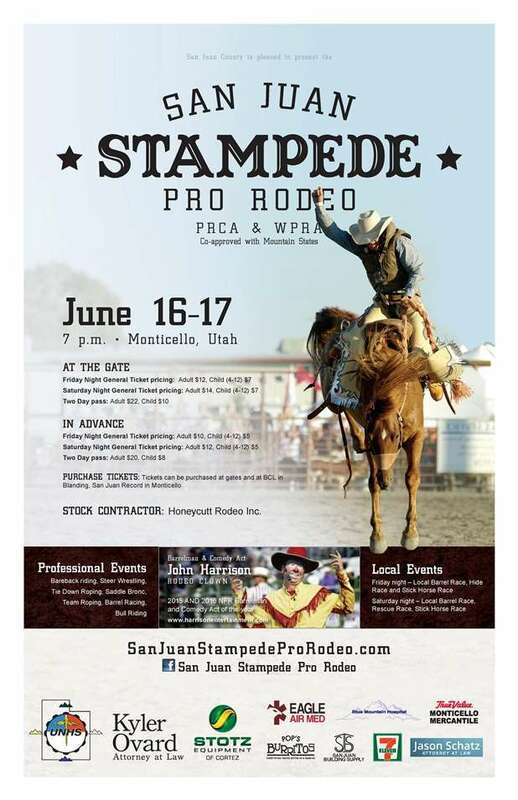 Flyers were placed around town for the San Juan Stampede Pro Rodeo in Monticello, Utah. 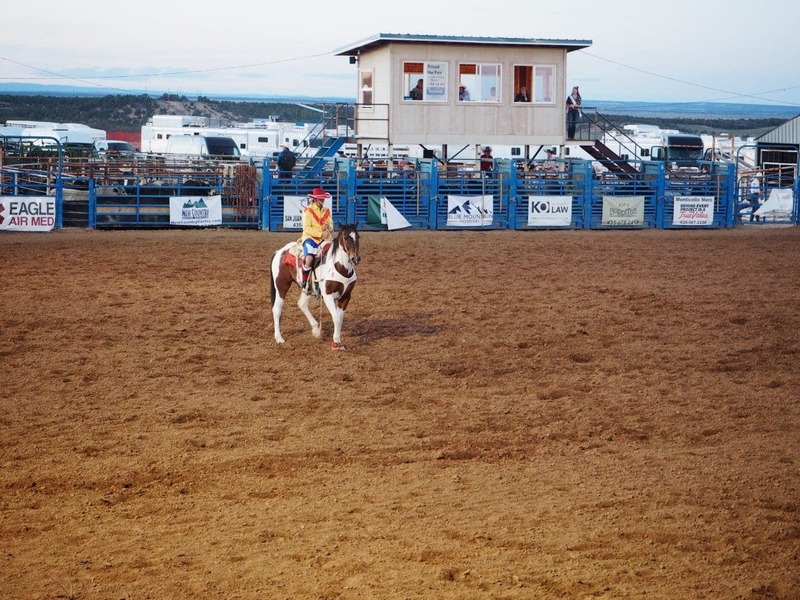 Neither of us have ever been to a rodeo so we decided it would be fun to check out. 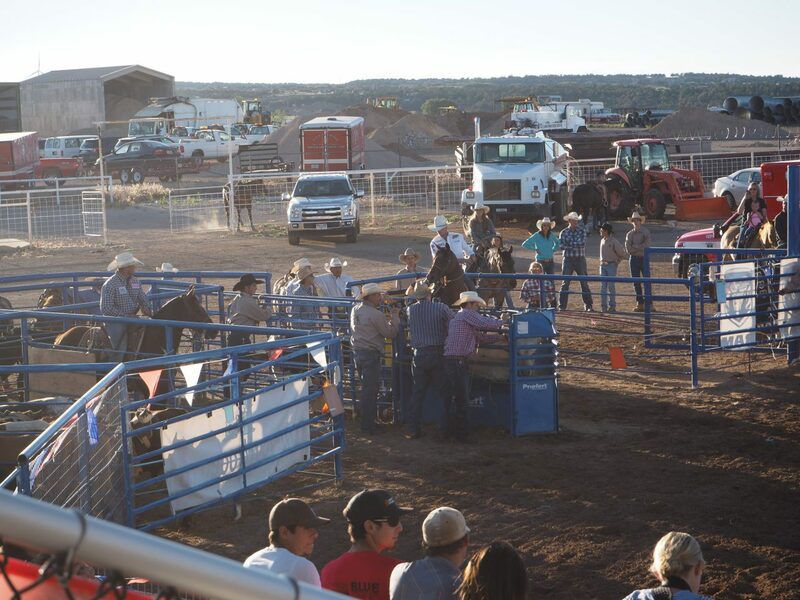 We weren’t really sure what to expect, but were excited to attend the local event. We had heard about a small diner, Patio Drive In, in Blanding and decided to have dinner on the way. The diner is known for their burgers, fries and shakes. 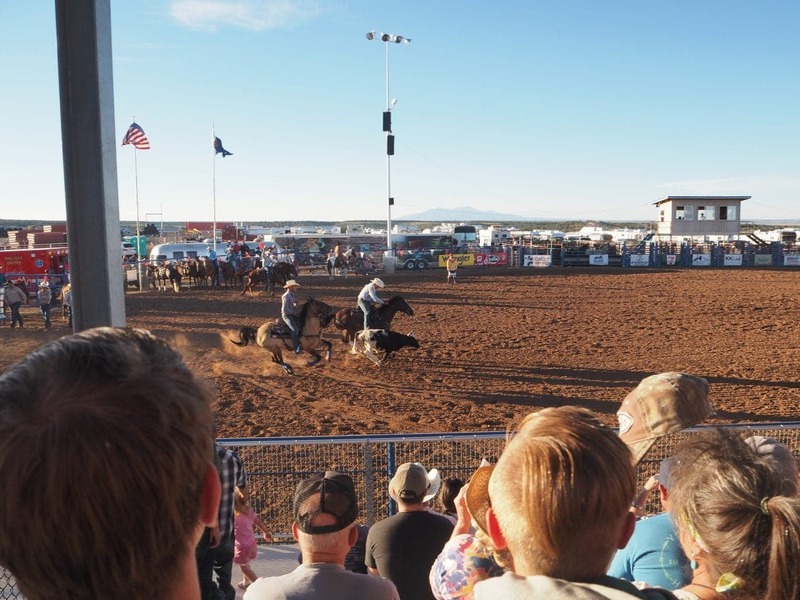 The rodeo included typical events like steer wrestling, tie down roping, saddle bronc, team roping, barrel racing and bull riding. 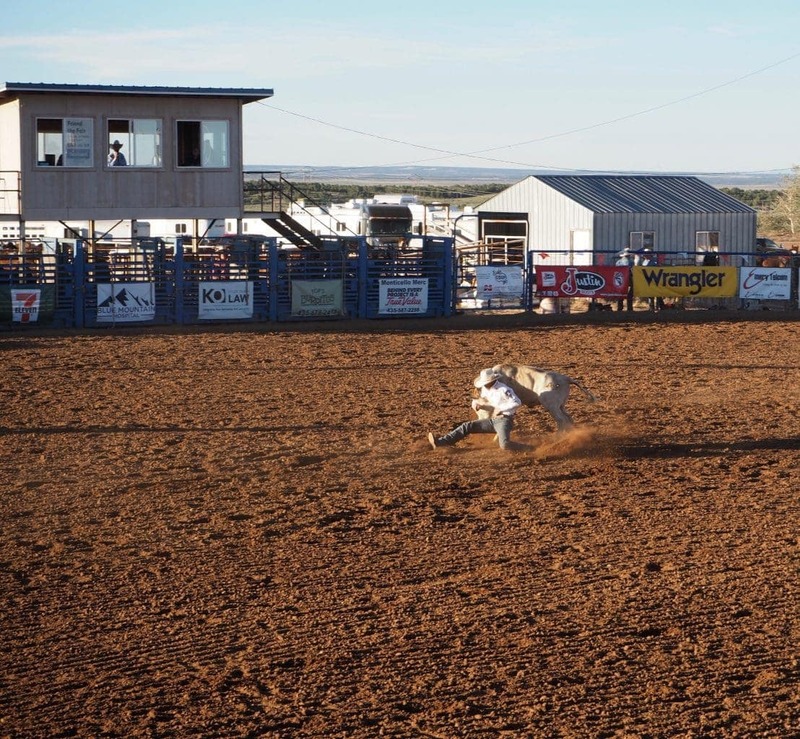 I didn’t really think the rodeo through. 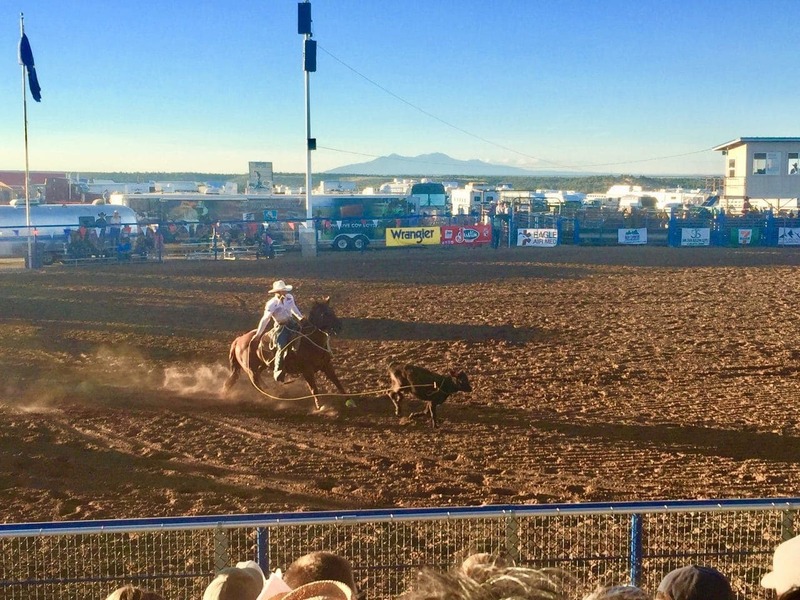 There were aspects that I enjoyed like the barrel racing, but for the most part I felt very uneasy with the steer wrestling and tie down roping. 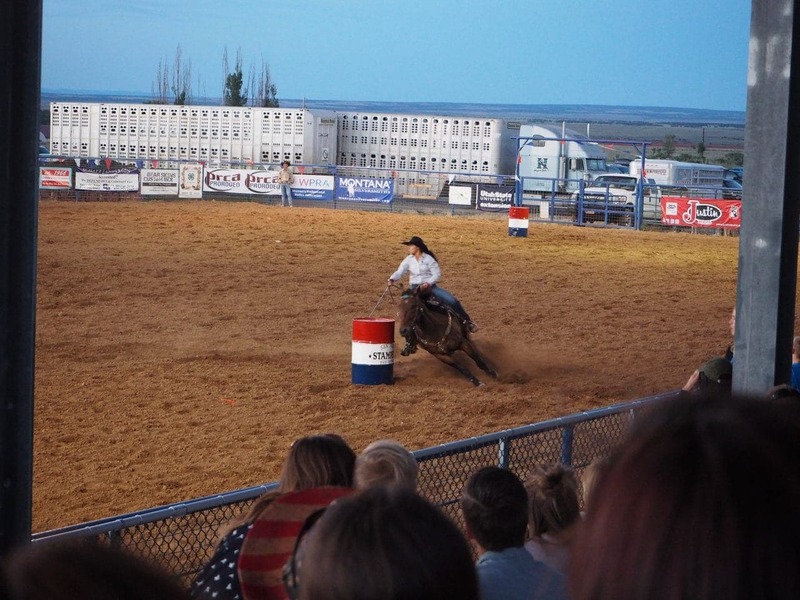 The bull riding had me on the edge of my seat and peeking between my fingers! 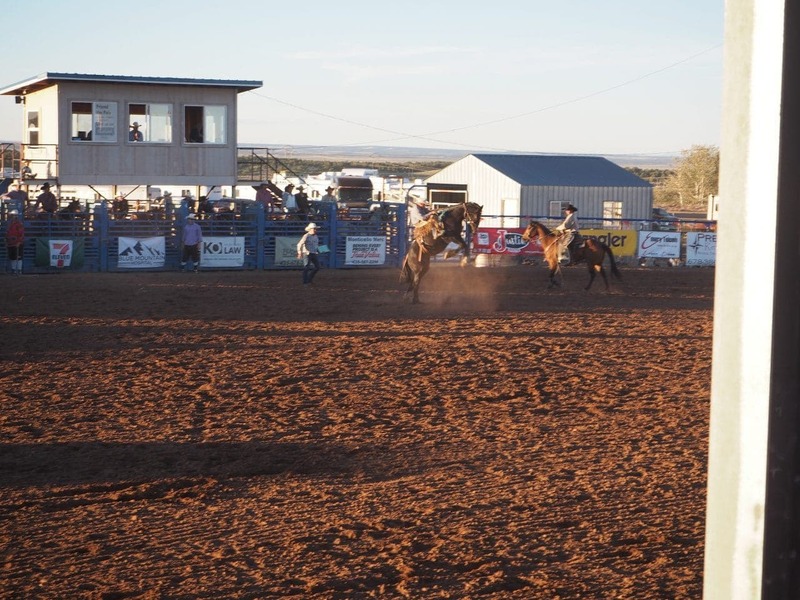 The entire rodeo was announced by John Harrison, the 2015 and 2016 NFR Barrelman & Comedy Act of the Year. We really enjoyed his commentary and jokes! John is also an avid stuntman and provided plenty of entertainment for the night. 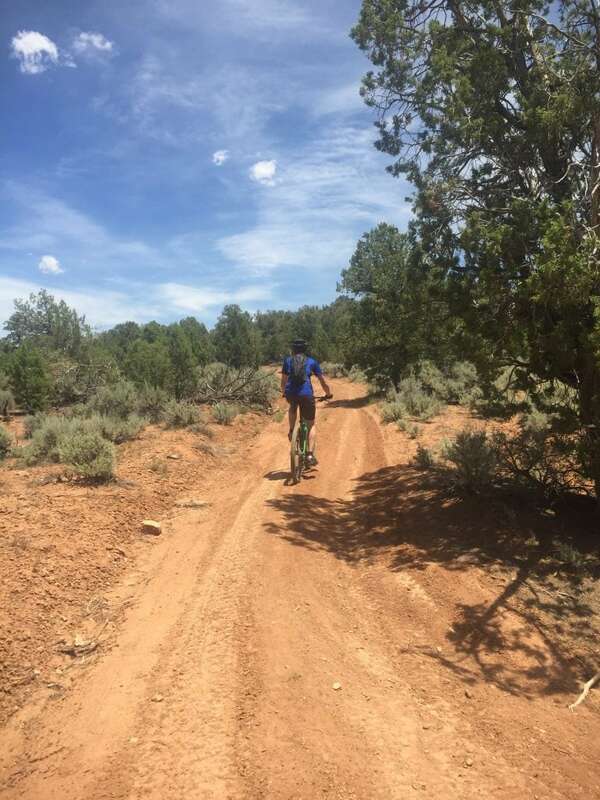 Since moving to Utah we’ve become interested in mountain biking, but never took the time to try it out. 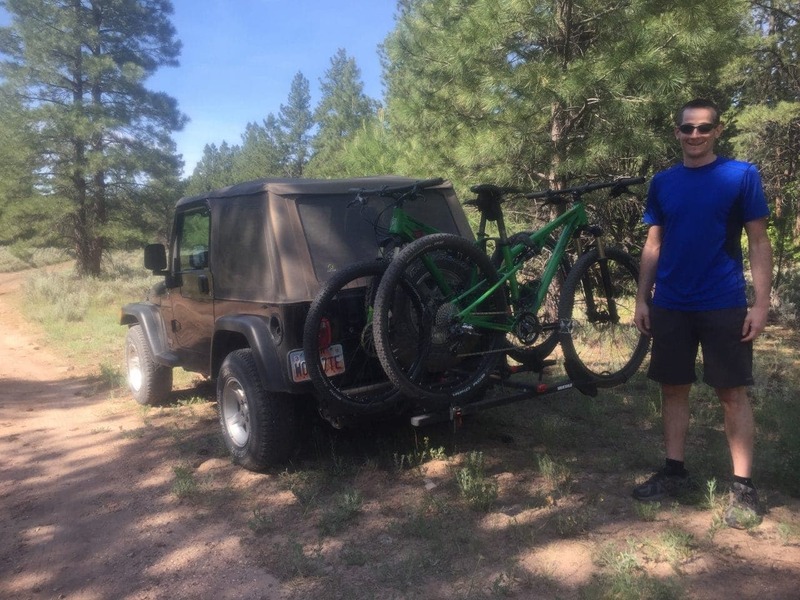 We have road bikes and Keith has a hybrid bike, but we really don’t know much about mountain bikes except they are pretty expensive and we don’t have a ton of extra space to store more bikes. Remember, we only have a 1 car garage! Sure is different from Indiana. This was a great opportunity to rent bikes and give it a try. 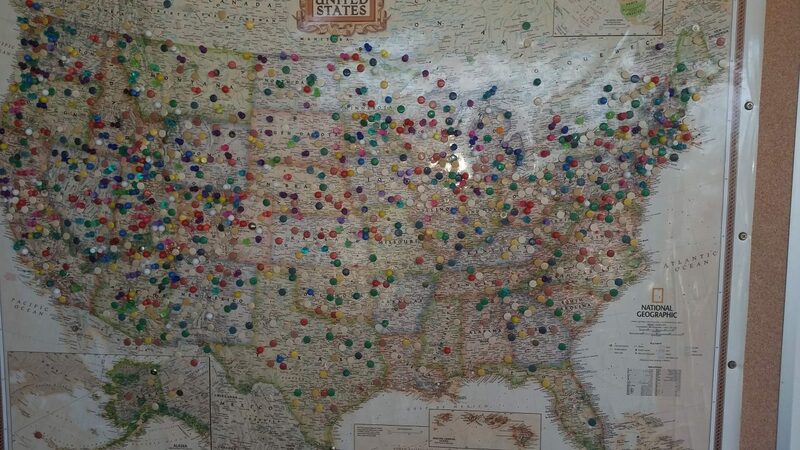 Earlier in the trip we stopped by Four Corners Adventures and talked with the owner about their excursions. We really liked his approach of sitting with us, talking about our interests and abilities and then he recommended some options. During this visit we booked the bike rentals as well as a canyoneering trip. 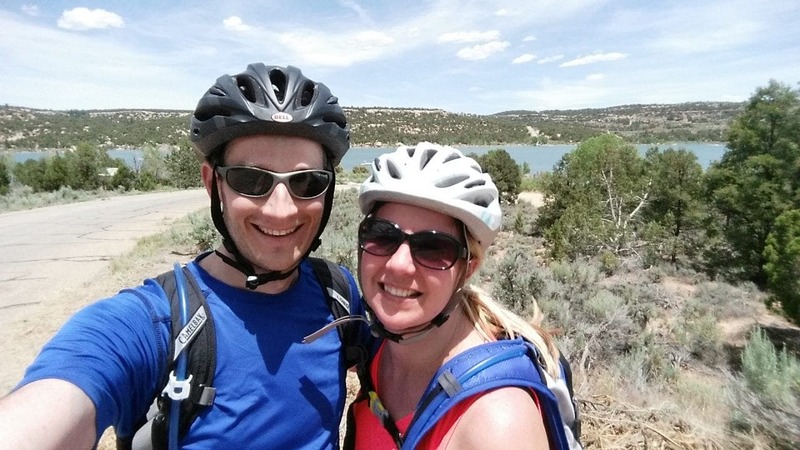 We were off to a rocky start on the bikes… literally! We ended up a trail near Devils Canyon Campground that ended up being way too difficult for us. 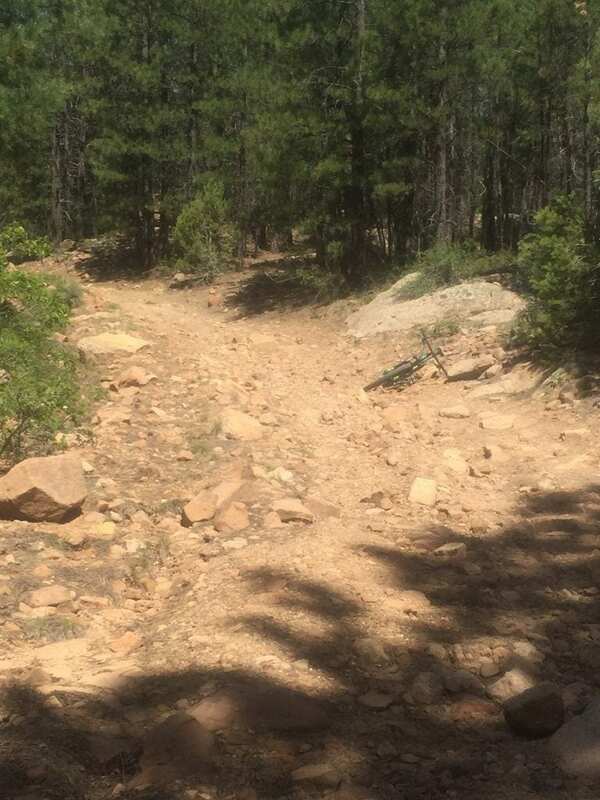 Accessing the trail was fairly flat and gave us some good beginning terrain to get use to the bikes and riding in the dirt/sand. After we actually got to the trailhead we were confused, we were either in the wrong place or this was much harder than we thought. The climbs/decents were much too steep for us, there were areas with large rocks that we didn’t have the skills to navigate and deep sands where we couldn’t control the bikes. We decided we should find another trail to better match our skills, or lack of. We had driven back into town to have an adjustment made to one of the bikes and got some more information on trails. 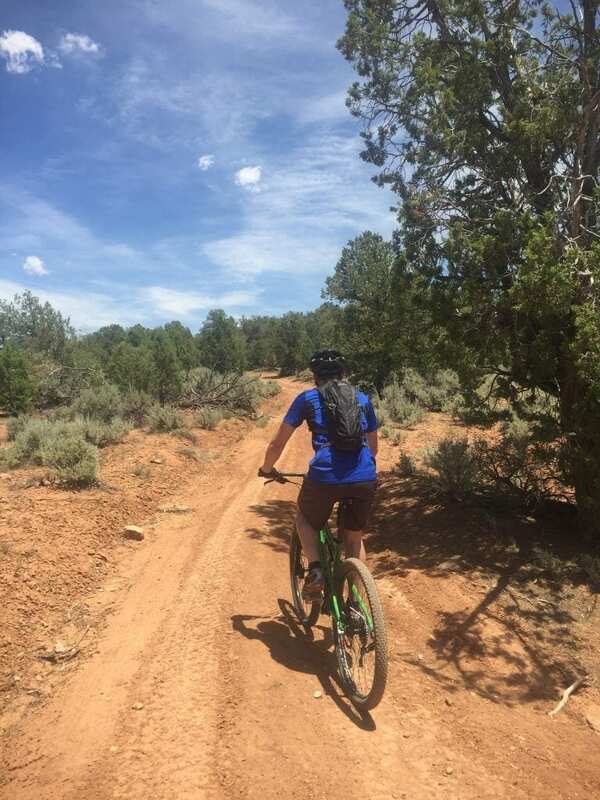 We were thrilled to learn that there were some fun beginner trails just behind the Blanding Visitor Center. This was easy to access and was much more suited for our abilities. Now, we were able to get a much better feel for mountain biking! It wasn’t too easy or too hard and with the heat, we were worn out by the end of the day. 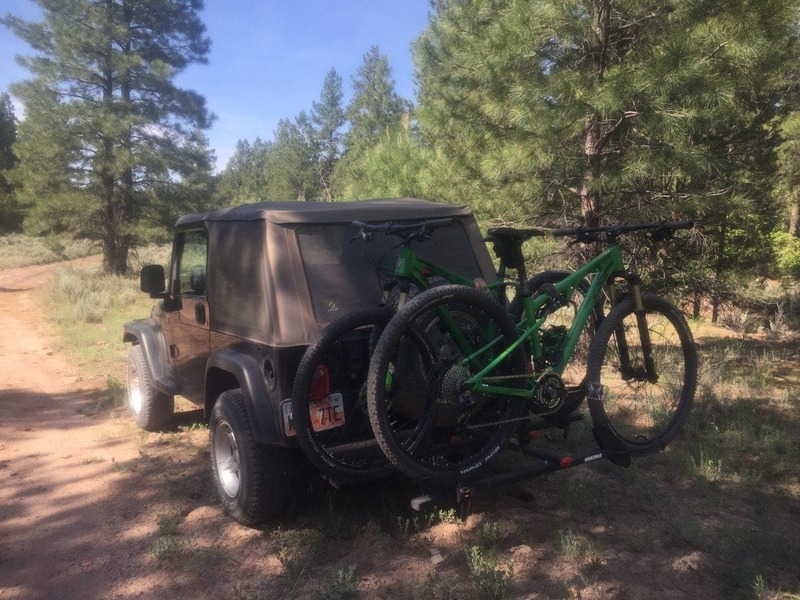 We ended up riding the trails for a couple hours and then made our way to the Recapture Reservoir and back to the visitor center. This area ended up being perfect for us and we really enjoyed our first experience on mountain bikes. I’m sure it’s something we will do again!